We have added a new feature and we are very excited about it. So we thought of sharing some details on it with you. We are calling this new feature “Appointment Board”. Below we describe some of the use cases of this feature. You can start using this feature today if any of these below use cases fits your role. Senior Executive: As a Senior Executive if you want to promote an open door policy, you can use this feature to set aside some time each week for ad hoc One-on-One Meetings with anyone in your team. This tool will help automate this. 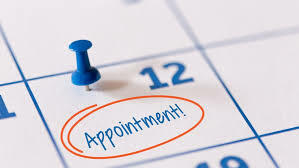 Note that this feature is available as part of our Appointment Package and if you don’t see it then ask your Admin to add this package for you.